This is the most breathtaking landscape I have ever seen in the Czech Republic! 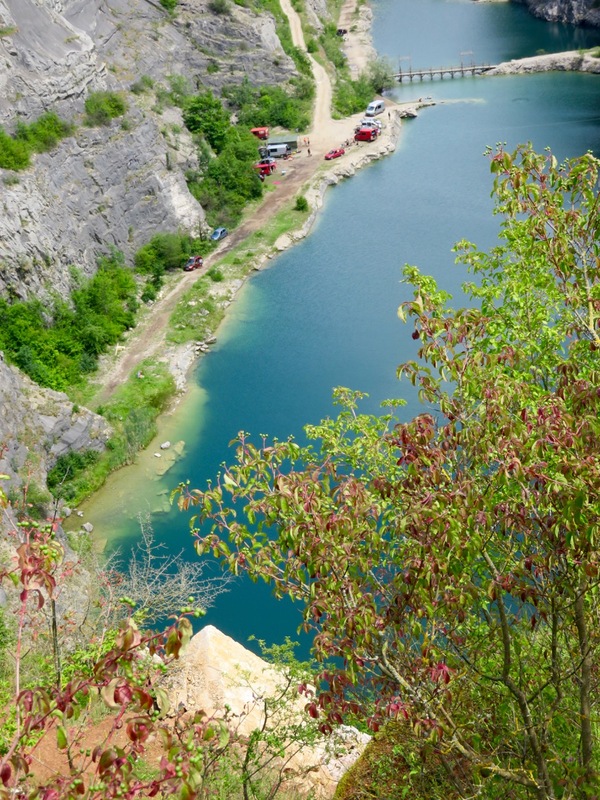 It is forbidden to enter these former limestone quarries or even step closer but many people ignore the signs and look down from the edge of the rock. Fortunately, there is a safe platform with a wooden fence in the north-eastern corner of the gorge. 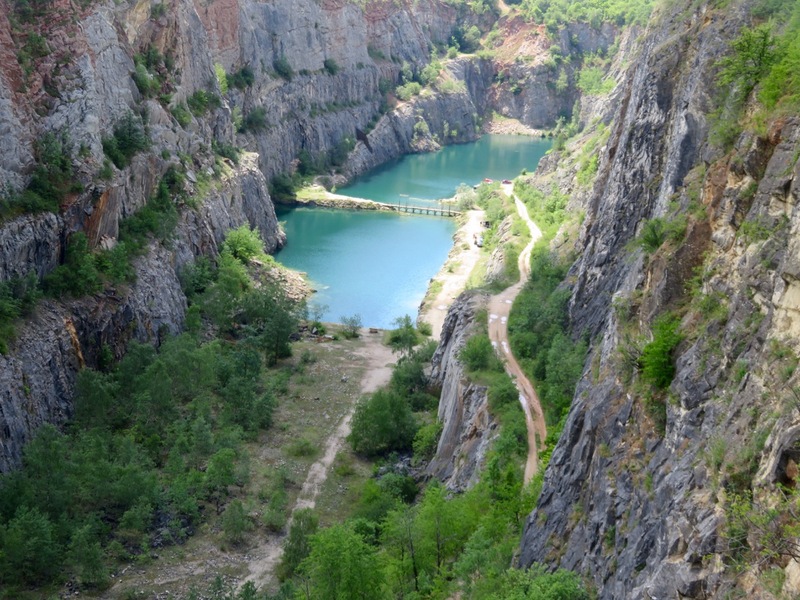 Czechs call these quarries “The Czech Grand Canyon”. You find them close to Mořina, north of the castle Karlštejn, and their view is stunningly beautiful! 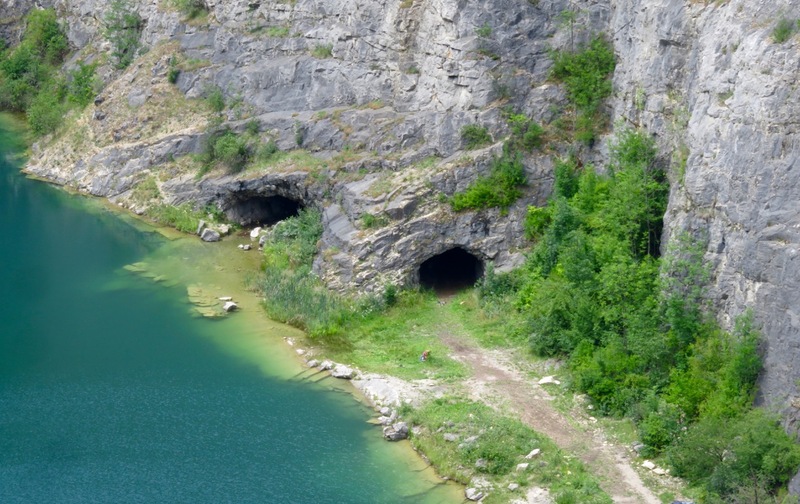 The largest quarry is called “Velká Amerika”1, and the quarry “Mexiko” was once infamous as a penal camp. 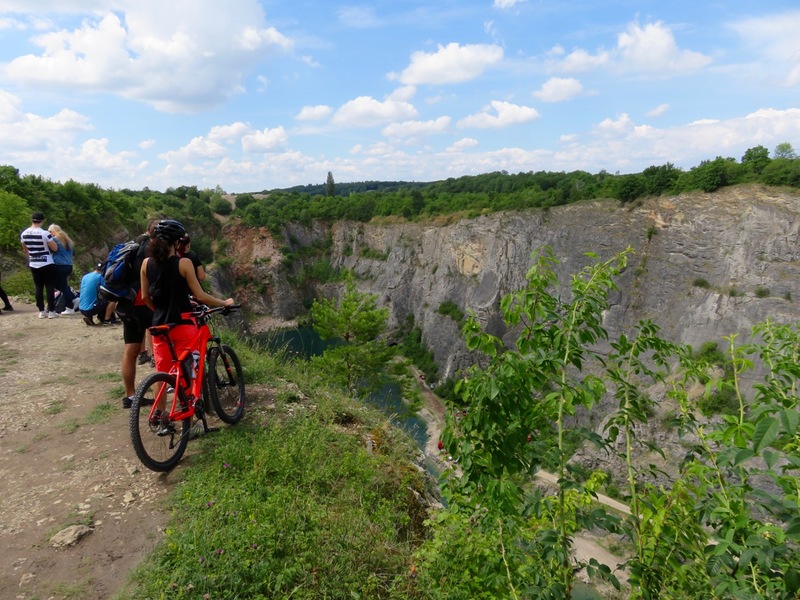 If you don’t have strong nerves, you should not ride bike in the Czech Republic in the first place. 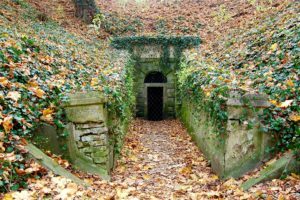 There are lots of tunnels, some of them connecting the quarries.